Are you looking to sell your Caterpillar Digger or excavator? Is your Caterpillar digger or excavator up for sale? 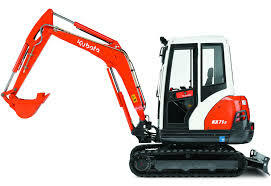 If you have a Caterpillar digger for sale then you have come to the right website. As an authorised buyer of Caterpillar machinery, we will purchase your Caterpillar excavators for cash, giving you a fair price with a quick quote. Caterpillar is the worldwide leader when it comes to manufacturing construction and mining equipment, and is ranked the number 1 company in its industry. You will no doubt recognise this brand thanks to its trademark ‘caterpillar yellow’ machinery and of course the ‘CAT’ logo. The brand has over 400 different products available through their worldwide dealer network, making them the largest manufacturer of loaders and excavators in the world. The brand specialises in hydraulic excavators and backhoe loaders, which are two of the primary digger types we look to buy. If there’s one name you can trust, it’s Caterpillar, which is why we look to purchase, any of their digging and excavation machinery you may have for sale. So if you are looking to sell a Caterpillar Digger or excavator or your Caterpillar digger or excavator up for sale, then be sure to get in touch through the details on our contact page. 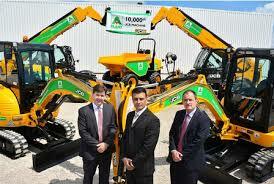 That way we can give you a quote of how much we will pay for your machinery in cash. This often won’t take any longer than 48 hours so you could replace your machinery with cash to invest in your business in no time. Simply fill in the Request a Valuation form now and we’ll be straight in touch to value your Caterpillar Digger or Excavator!